You have an impressive collection of hats, but you’re always on the lookout for that new hat which will truly declare your style as your own. 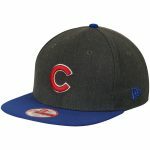 This Chicago Cubs Cooperstown Collection Vintage Fit 59FIFTY fitted hat from New Era is the perfect cap for you. 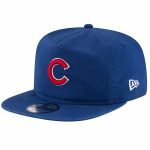 It features Chicago Cubs graphics embroidered on the hat for an awesome design.